The Chief Information Officer (CIO) started off leading the data processing and IS (Information Systems) departments of the past. But today, the job is a much different role. The skill set and responsibilities are worlds apart from what they were a decade or two ago. And the role continues to adapt to the changing face of the modern business enterprise. In today’s tech-focused, competitive business environment, what do CIOs bring to the table? Company goals are paramount because only those in tune with the hi-tech needs of customers will see positive growth numbers. CIOs are a crucial part of an enterprise’s digital transformation. CIOs often have an IT background, with degrees in computer science, software engineering, or information systems. Experience is an important factor for landing a role at this level. Employers prefer at least 5 years’ experience in IT management. Moreover, business acumen is a must. That’s why the current tendency is for CIOs to be promoted from business departments rather than IT. Job satisfaction is among the benefits CIOs enjoy. Eight out of 10 CIOs responding to a survey by Harvey Nash and KPMG last year said they felt “fulfilled” or “very fulfilled” in their jobs. The report reveals a relatively short life expectancy in the role, however. Thirty percent of those surveyed had moved jobs in the previous two years. Salaries rise with experience and location. Median salary is in the $150,000 range, but on the lower end, you’re looking at around $88,000. That’s before bonuses and profit-sharing proceeds according to Payscale. Their data also shows higher earnings in cities like Los Angeles, Miami, Minneapolis, and Atlanta compared with the national average. The position continues to change with the advances in technology. The flow of information is essential for business success, and CIOs need to be at the forefront of driving these areas forward. Knowledge of both business and tech trends will become a mainstay of the role; expertise in one or the other won't cut it. Oracle CEO, Mark Hurd, says the toughest corporate job in America right now is that of a CIO. The reason for this? He points to the dramatic effect technology is having on key areas like personal health, insurance, and agriculture. The fast-changing landscape has left some CIOs concerned with the expectations placed upon them. They don’t see a clear path forward with regards to career development. Others, though, welcome the challenge. 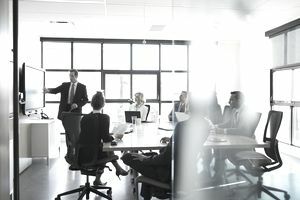 Despite rumblings that the position was at risk of disappearing, the modern CIO is primed to transform the way companies do business. They see a bright future ahead in implementing innovative solutions to create shareholder value.